If you're a reader and have friends who are, too, there's a good chance that books are a popular gift between you and those friends. 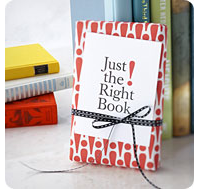 If you know someone's taste, books can make wonderful gifts. 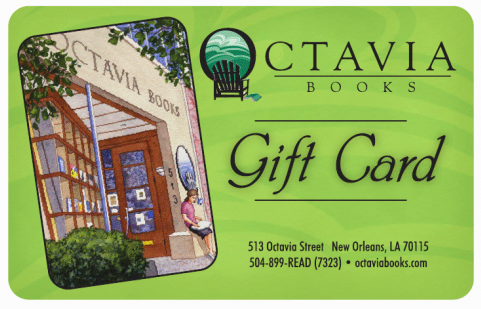 And if you're not sure, you might consider bookstore gift cards, including ones from independent bookstores such as Powell's Books in Portland, Oregon and Octavia Books in New Orleans - and many more. 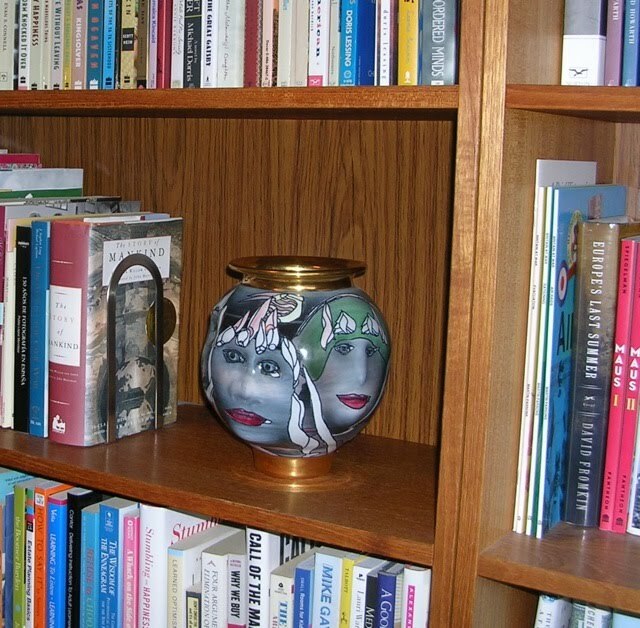 But here are some other ideas for book-related gift giving - in ways designed to ensure those books don't become clutter. Experienced booksellers (and people who read a lot themselves) hand-pick books to send to your gift recipients, based on information you provide. 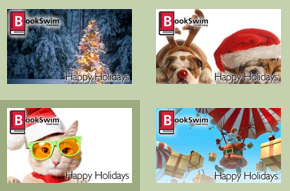 And here's how Just the Right Book explains its guarantee: "If we get it wrong (unlikely, but not impossible), or if your gift recipient already has the book we send, we will gladly exchange the book for another selection at no cost to you or your recipient!" 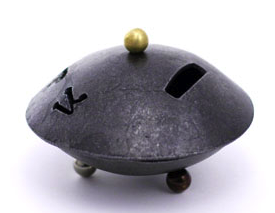 Looking for some unusual consumable gifts? 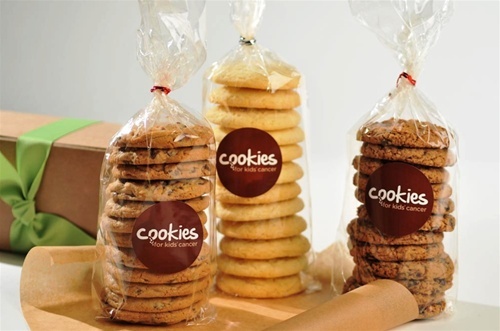 Cookies might not seem unusual - but these are Cookies for Kids' Cancer, where "100% of the profit from your purchase will directly fund pediatric cancer research." You could "adopt" a beehive and get raw honey and beeswax candles from that hive. Know a crafter who works with fleece in some form - a felter, knitter, etc. - and who doesn't already have multiple years worth of supplies? You could adopt a sheep and get its fleece (raw or processed) - or, in some cases, pay extra to have the fleece turned into spun yarn. Some programs offer extras such as sheep milk soap or an invitation to the shearing party. 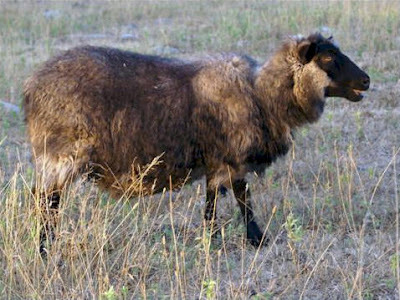 Some of the farms offering adopt-a-sheep programs are Owens Farm in Pennsylvania, Quaker Hill Farm in Michigan, and Wise Guy Acres in Minnesota. Update on Dec. 2, 2012: I'm no longer finding a web site for Wise Guy Acres. 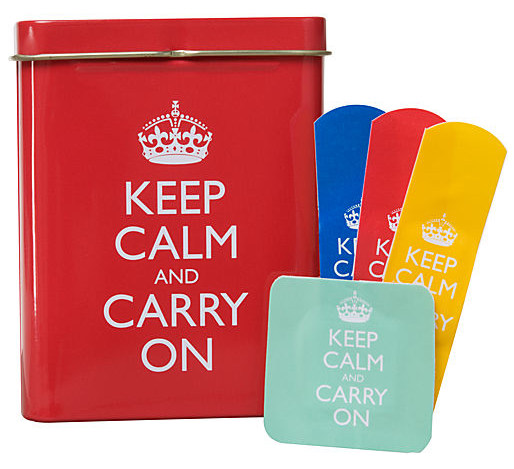 These Keep Calm and Carry On bandages (or plasters) are available from many online sources - just when I thought we'd exhausted the product possibilities from the old Keep Calm poster. Other bandages you might like are the WTF bandages and the cat bandages. Update on Dec. 2, 2012: The company that sold these says they are sold out. For more consumable ideas, see my post from a few days ago. Back in 2007 I wrote about 16 Lego storage options, and that's the most popular post I've ever written. The comments have introduced a few more options, too. 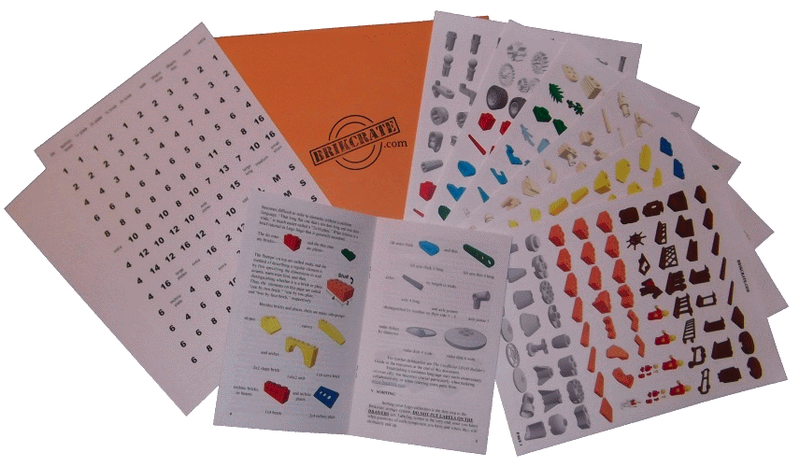 But just today I learned of some neat new products to help organize all those Legos, from a company called Brikcrate. The first is a set of labels that you can use on whatever containers you're using for your Legos. And then there are the storage tables: the JuniorCrate and the JumboCrate (shown above) - and of course the labels work perfectly with these storage pieces. 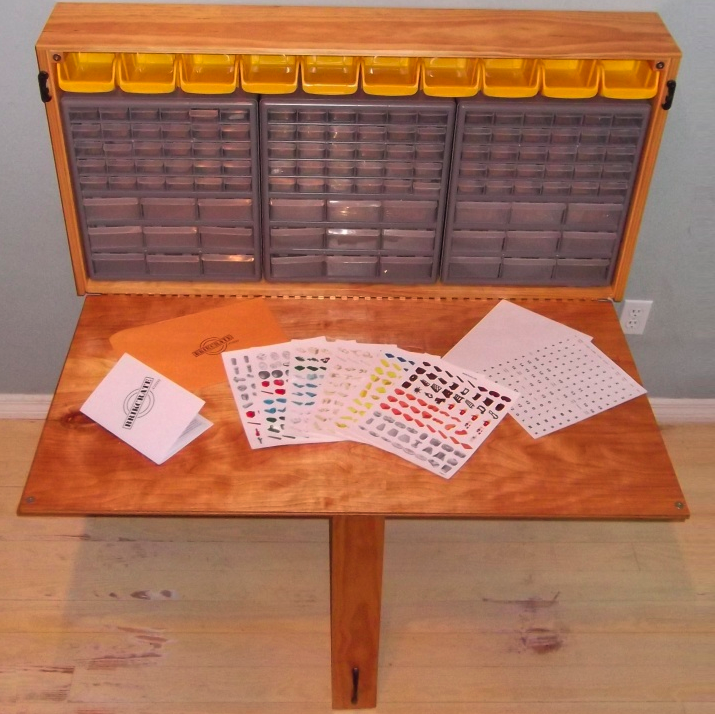 The JuniorCrate comes with your choice of three different drawer configurations; the JumboCrate has four choices. 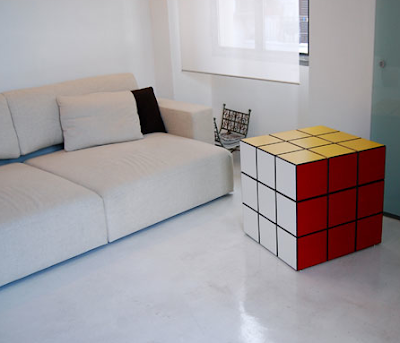 The tables come in three different heights, too. 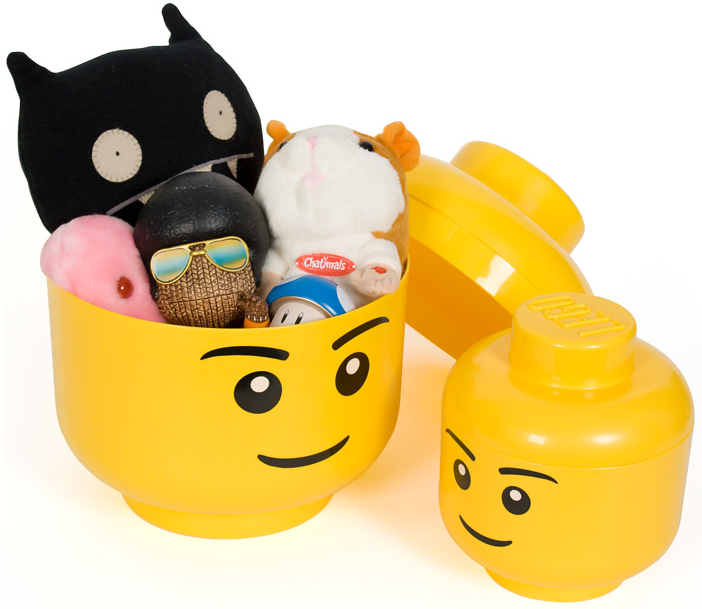 Update: See my June 2011 finds for Lego storage. 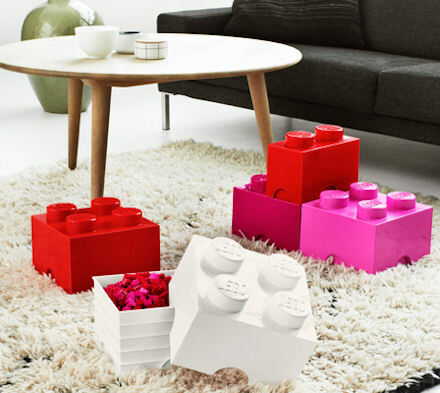 If you live in the U.K, you could get this Lego-inspired wooden toy box. [via Retro To Go] Updated on Feb. 25, 2015, to remove link to U.K. vendor that no longer sells these boxes. You can see the same toy box here, where furniture maker Gary Moore notes: "The design incorporates a large cut-out on all four sides to prevent any little fingers from getting caught. 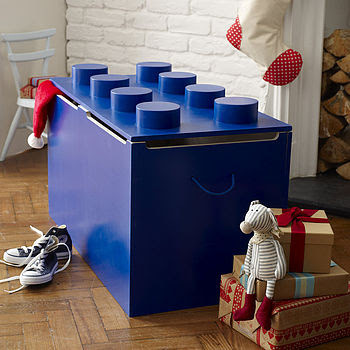 Also the toy box is fitted with a lid-stay to hold the lid safely in place while children play." He also says: "If you require something smaller or perhaps even larger, the design can be customised to more or less any size you like." Alex Noriega has created a series of one-panel comics called Stuff No One Told Me (but I learned anyway). 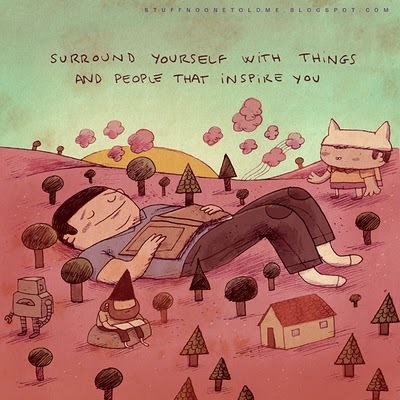 Some of them definitely have a decluttering focus, such as #48: Surround yourself with things and people that inspire you. 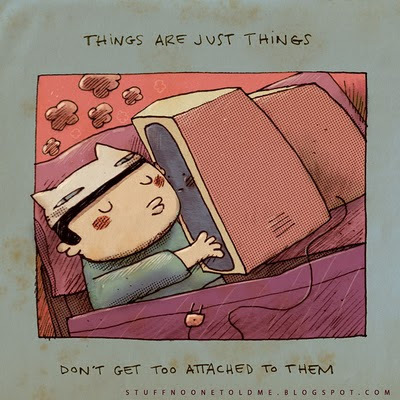 And then there's #51: Things are just things. 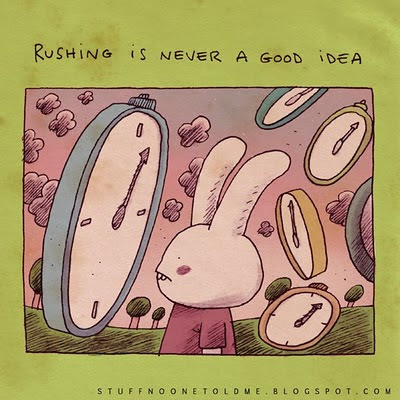 If time management and an overcrowded calendar are your challenges, you might like #45: Rushing is never a good idea. These comics are available as prints as well as mugs, greeting cards and t-shirts. 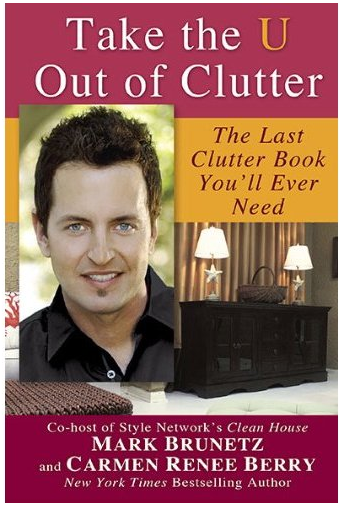 Yes, for many people these items would just be clutter. But others might find them to be just the inspiration - or the reminders - that they need. 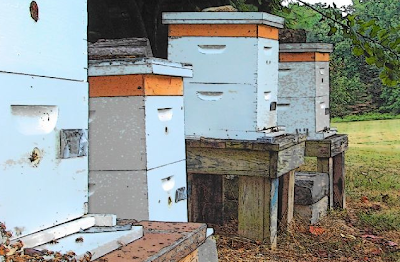 You can even get someone a subscription to the "balm of the month." 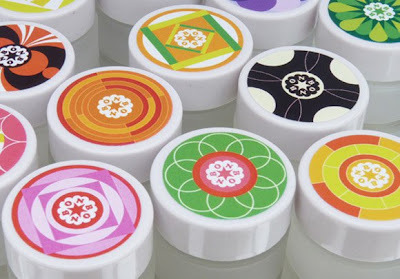 [via Springwise] Update on Dec. 2, 2012: Bonbon, the company making these lip balms, seems to have disappeared. 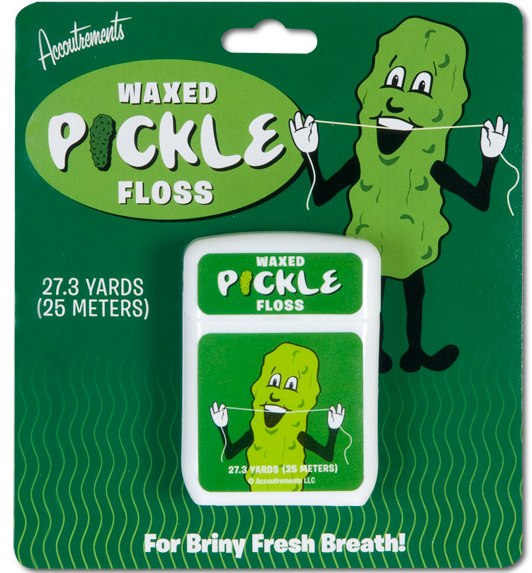 Accoutrements makes pickle-flavored floss, bacon-flavored floss, cupcake frosting-flavored floss, and more. Update on Nov. 24, 2011: I'm no longer seeing the pickle-flavored floss, but the bacon and cupcake options are still available - and others, too. OK, coffee isn't that unusual - but this particular coffee is somewhat different. As Springwise explains: "Texas-based Project7's coffees are all harvested from small, organic farms that are certified Fair Trade and USDA Organic. 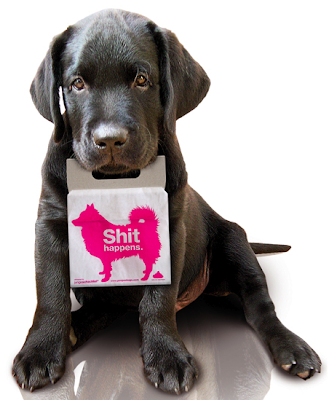 Sold through coffee-of-the-month subscriptions, each coffee blend is attached to a specific cause. 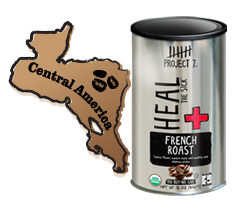 Its French Roast coffee, for instance, is associated with its 'Heal the Sick' project, so that each canister sold translates into medicine provided for one person suffering from malaria." 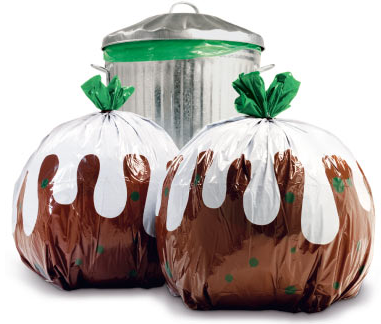 I've mentioned decorative garbage bags before. 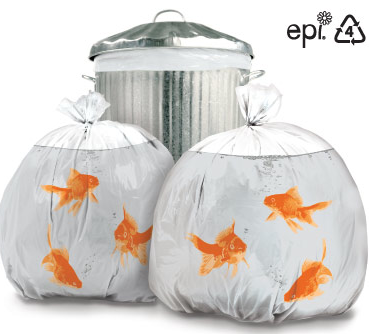 But now there's another company providing some new options: bin bags with Christmas pudding and pet goldfish designs. OK, these are too expensive for anyone to buy for everyday use. But they certainly are a consumable that won't become clutter! They come in a box of 16 - two each of eight designs. (You may want to click the link above just to look at the other seven.) The Pink Monkey Company Ltd. is one place to buy them. Update on Nov. 24, 2011: I'm no longer seeing these at Pink Monkey. 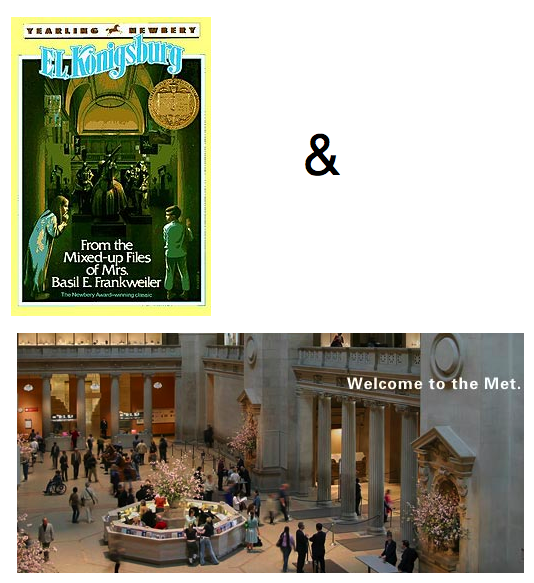 My November 2010 newsletter is now available. Glad to oblige, Claire! And this seems a good time to look at these boxes, as we enter a season of thanksgiving - and of giving to others. Let's start with one that actually looks like a box - although Yair Emanuel has tzedakah boxes in a number of shapes. Here a tzedakah box from Gary Rosenthal, with tzedakah in Hebrew, and these words in English: May we not be judged by how much we acquire but let us be blessed according to how much we give. 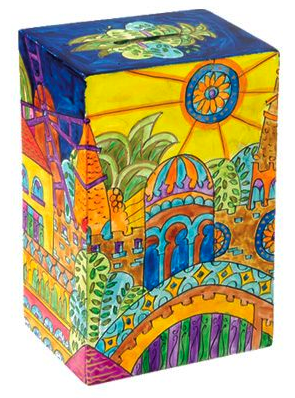 This is one of the many tzedakah boxes from Stained Glass Designs by Susan Fullenbaum. 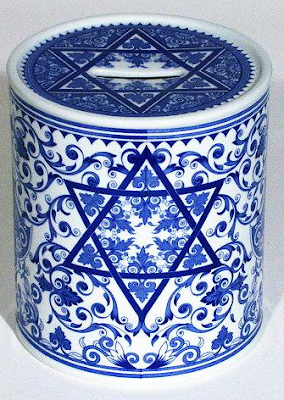 Here's a lovely little porcelain tzedakah box from Spode. 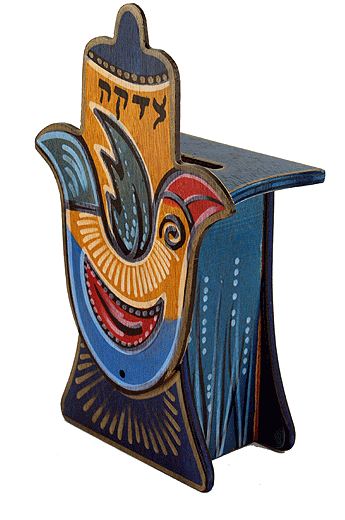 And here's a hand-painted tzedakah box from Kakadu Designs. Update on April 17, 2019: The company no longer shows any tzedakah boxes on its website. 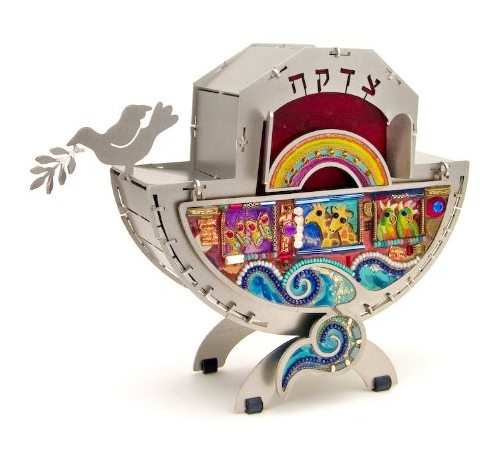 Here's a tzedakah box with a Noah's Ark theme, from Seeka - where you can find many other designs, too. These boxes are made from stainless steel. Update on April 17, 2019: The company no longer shows any tzedakah boxes on its website. 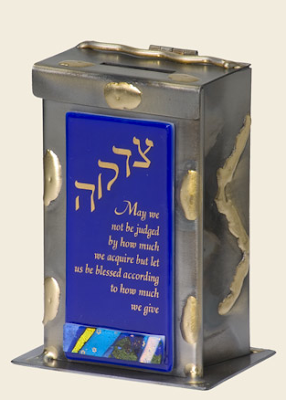 I found this one at Modern Tribe; it's identified as the Real Men Give Tzedakah Box. 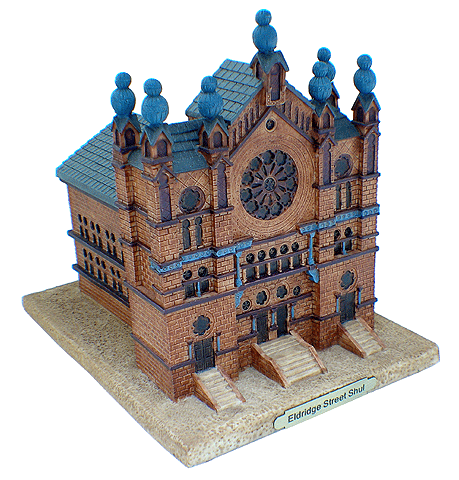 It's made by Steve Bronstein of Blackthorne Forge. [via Cool Mom Picks] Update on April 19, 2019: I'm no longer finding this one at Modern Tribe, but this one (or something similar) is at Blackthorne Forge. Reuven Masel makes some pretty amazing synagogue replica tzedakah boxes. 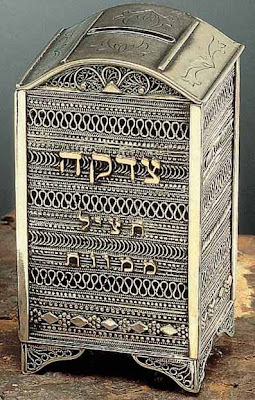 Finally, let's admire this incredible sterling silver Tzedakah box with its gorgeous filagree work. Update on April 17, 2019: I'm no longer finding this box by Ben-Zion David anywhere on the web. I've been doing some of my own decluttering - the continual weeding of the books. 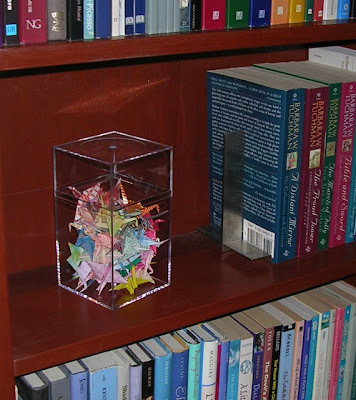 Getting rid of some 20-year-old travel books that I haven't opened in ages left me a nice space to display these cranes that a friend folded. Of course, when I don't fill up a whole shelf with books, that means I need some bookends. And if I'm putting them next to decorative items, I want those bookends to be unobtrusive - but I still want them to be attractive. 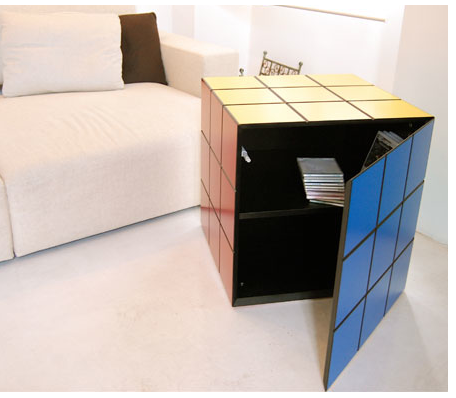 The bookend I'm using here comes from Blomus; you can get the Blomus bookends at Unica Home and other places. 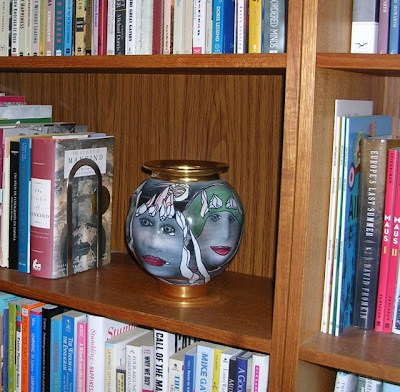 Here's another example, with a vase - which I don't use as a vase. The bookends I've used here appear to be the Elements bookends from Spectrum Diversified. They come in two sizes, and are available in both chrome and black. I'm seeing them on Amazon.com. Are you sick and tired of seeing studly dudes showing off their perfectly sculpted muscles? Have you had enough of those adorable baby animals flaunting their newborn, fuzzy cuteness? Yeah, we didn't think so. If you want any more excuses to consider this calendar, then note that it's "printed with soy-based inks on 50% post-consumer recycled paper." 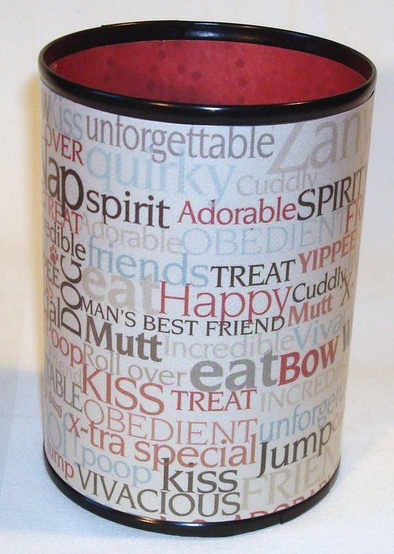 And "a portion of all proceeds will be donated to nonprofit animal rescue organizations." 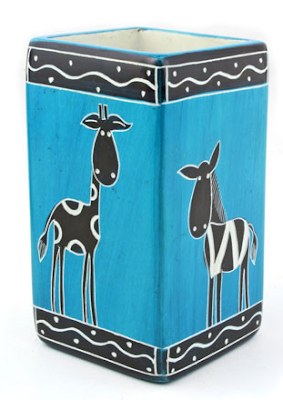 The rainy season has started in my part of the world - so it's time to look at umbrella stands once again. 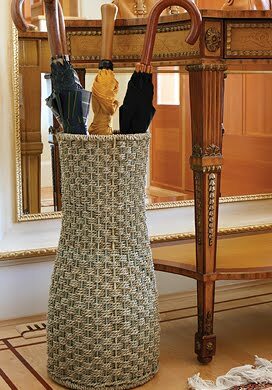 Let's start with the designs from Italy - including the umbrella stand from Bitossi (shown in the middle of the picture above); it's sold by Design Within Reach. 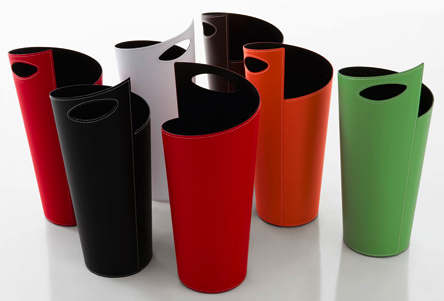 (DWR calls it a "cylindrical vessel," but Bitossi calls it an umbrella holder.) 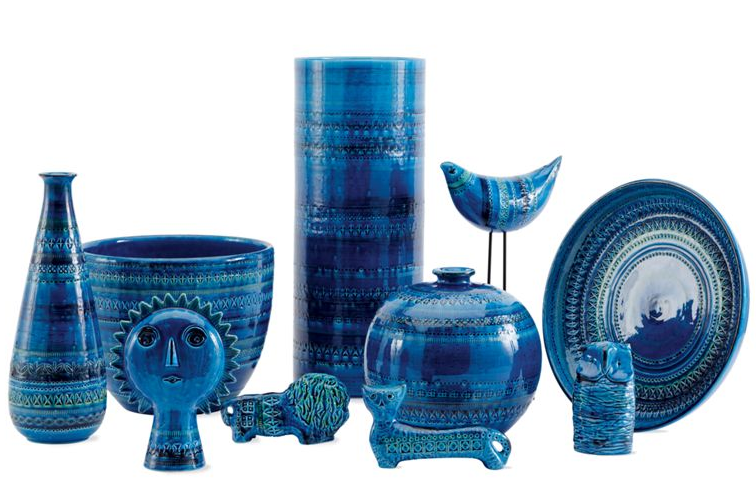 When I first saw this, I thought how my mom would have loved that rich blue color. 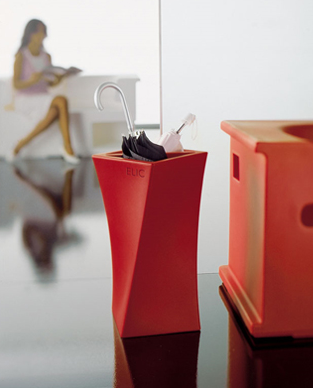 The Ombo umbrella stand by Com.p.ar is sold by Go Modern in London. 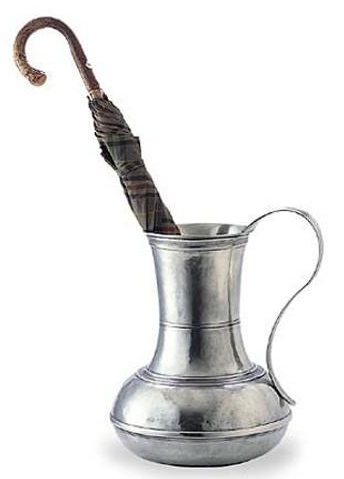 And one final Italian design is this pewter umbrella stand from Match, sold by Unica Home - and costing over $1,000. 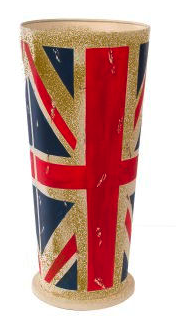 This Union Jack umbrella stand comes from - you guessed it - the U.K. Update on Dec. 26, 2012: I'm no longer finding this product. And finally, this seagrass umbrella holder was (probably) made in Indonesia, and comes to us from White Apple, in Canada. I've read so many organizing books that it's rare that I find one that offers a lot which is new - but Take the U Out of Clutter is one such book. I'm a big fan of Peter Walsh's book It's All Too Much, where he says, "It's not first and foremost about 'the stuff.'" This book builds on that theme; it focuses on helping people understand just what's going on in their heads and hearts that interferes with dealing with the clutter. We created lasting change in our exterior spaces by creating lasting change in our interior worlds. Our ability to deal effectively with the clutter that was strewn around our homes was directly linked with our personal stories, and the degree to which these stories empowered or disempowered us. Look around your home - it is cluttered with stories. You've got stories stuffed in your closets and jammed into your cupboards; stories stacked to the top of your garage and strewn all over your backyard. Mark and Carmen have us distinguish the bare facts about our stuff from the stories - and have us identify the feelings these stories arouse, and assess how stressful those feelings are. When the items and their stories bring up very high levels of stress, they recommend getting outside help (a therapist, a support group, etc.) before dealing with those items. You may realize that a story you've told for years is no longer relevant, or that it describes a situation that no longer exists. Perhaps the story communicates an attitude that holds you back. ... If a story makes you feel weary, let it go. Stop telling the story - to yourself or anyone else. This book is well-written and filled with its own stories - engaging stories of people going through the authors' process with Mark. Many thanks to Naomi Seldin of Simpler Living for introducing me to this book. 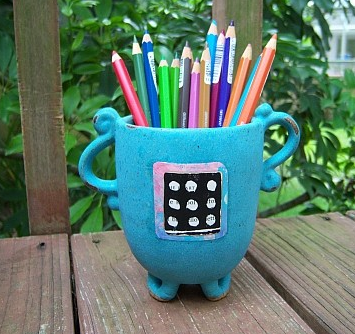 Looking for a pencil cup that's a bit out of the ordinary? Don't want to simply use a spare coffee mug? 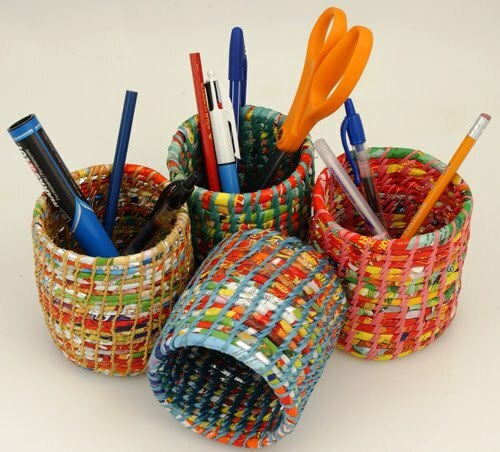 For a green approach, take a look at these pen holders made from recycled plastic. 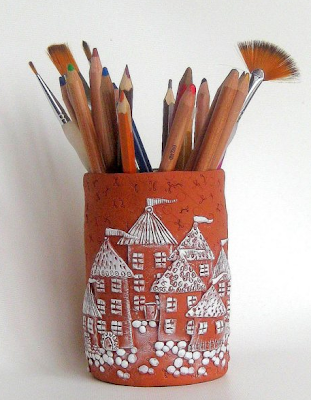 And another eco-friendy option are these pencil cups made from coconuts! Update on Jan. 22, 2012: The company making these has ceased production. 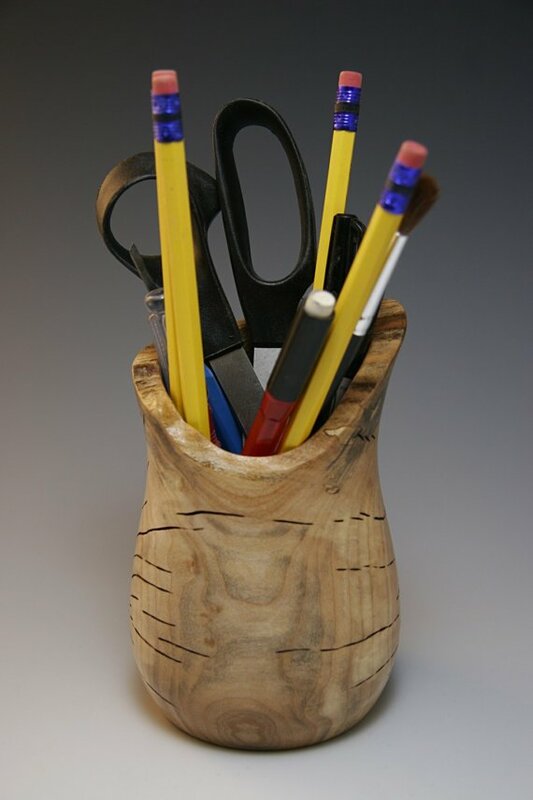 Digoto makes pencil jars from reclaimed trees - trees cut by the city. Update on Jan. 22, 2013: The site selling these doesn't have any now; it's not clear what will be sold in the future. 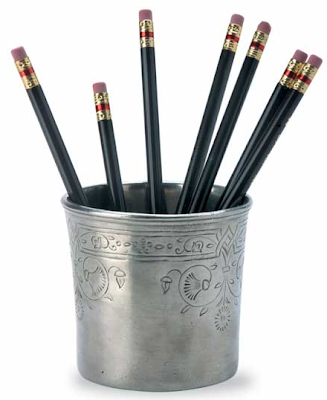 This pencil cup from Match pewter was handmade by artisans in the north of Italy. 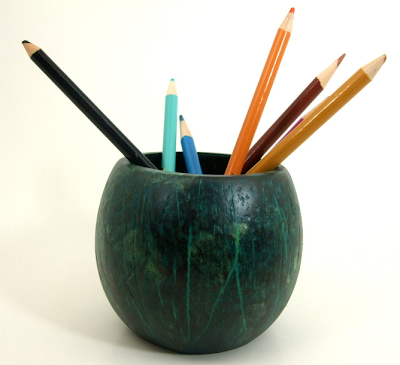 And this soapstone pencil cup comes from Kenya. 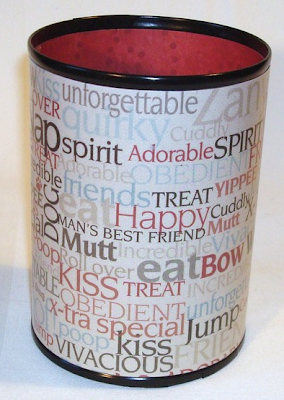 Dog lovers might enjoy this Dog Words Pencil Holder Can - one of a number of such cans by Making Time TC. Update on Sept. 8, 2013: This specific pencil holder can has sold, but there are still many others to choose from. Dorothy Domingo has a couple of turquoise pencil cups. Update on Jan. 22, 2013: Dorothy Domingo is no longer selling pencil cups. 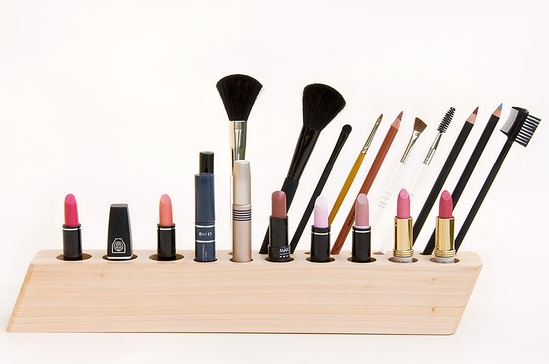 And finally, Tanya Besedina has some stunning organizers for brushes, pens and pencils.